Babingtons Cottage is the perfect place to relax in the Scottish Borders. 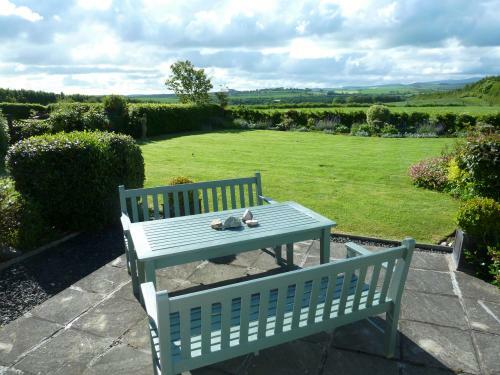 With stunning south facing views the spacious garden overlooks the magnificent Cheviot Hills. Wild birds, including woodpeckers, nuthatches &goldfinches are known visitors. Feel free to feed them. On entering, the orchard wih apple, pear, plum, damson &cherry trees faces the Lammermuir Hills. The Gardens are peaceful & fun so why not enoy a game of croquet (set provided) or simply relax & immerse yourself in nature.